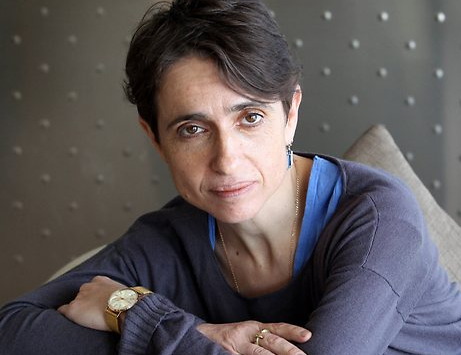 Masha Gessen is a Russian and American journalist and author. Gessen is openly gay and an activist for the rights of sexual minorities. She served as a member of the board of directors for the Moscow LGBT rights organization “Triangle” from 1993 to 1998. Gessen is openly gay and an activist for the rights of sexual minorities. She served as a member of the board of directors for the Moscow LGBT rights organization “Triangle” from 1993 to 1998. She has written on LGBT rights and Russian affairs. She writes in both Russian and English, and has contributed to The New Republic, New Statesman, Granta, Slate and Vanity Fair, and US News & World Report. Her 2012 book The Man Without a Face: The Unlikely Rise of Vladimir Putin is a political biography of Vladimir Putin, whom she describes as a dictator. Gessen has two children: a boy Vova and a girl Yolka; both are US citizens. In 2004 she was married in the US to Svetlana Generalova, a Russian citizen who was also involved in the LGBT movement in Moscow. As of August 2013 she plans on moving to New York to avoid legislation in Russia that bans “homosexual propaganda”.